In case you missed the news, the Water Buffalo is set up and slinging beers. Check out three originals as well as thirteen Arkansas beers when you stop by. Keep your eye out for local Blood Eagle Brewing Company to be on guest tap soon. Hot Springs peeps, get excited. Bubba Brew’s Brew Company will be working with the Craft Beer Cellar in Hot Springs as they conduct their soft and grand opening this week. Next week the brewery will head to the Great American Beer Festival in Denver. Today Lost Forty Brewing will release a Belgian Golden Strong Ale for Fresh Cut Monday. Brewer Eric Morris crafted a fruity and complex brew with fresh cherries and almonds. The rose-colored small batch beer comes in at 9.5 % and showcases spice and fruit aromas with hints of amaretto, a slightly tart body with cherries, and finishes crisp and dry – definitely worth a taste or two. Also, keep your eye out for Sixes and Sevens to pop up in a month or so as Josiah Moody of Moody Brews plans to start propagating yeast for the Imperial Belgian style Chocolate Porter by the end of the week. Looking for good beer and bites this week? 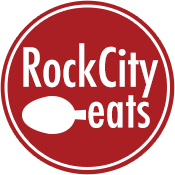 Head to Stone’s Throw Brewing’s September beer dinners this Tuesday, at 6:30 p.m. in partnership with the Southern Gourmasian. Tickets are $50 for one, $90 for two (gratuity not included) and available here. 1st – Game Day “Nachos:” Crispy Wontons, Smoked Chicken, Pickled Jalapeños, Beer Cheese paired with the Common Sense. 2nd – Bacon Wrapped Rice Cakes with Jalapeño Ponzu & Spicy Cucumbers paired with the Caddo Kolsch. 3rd – Lobster and Kimchi Macaroni & Cheese, Toasted Breadcrumbs, Srirachi paired with the Amer Belge Belgian IPA. 5th – Ginger Apple Pie “Egg Roll” with Salted Spiced Caramel by Kelli Marks of Sweet Love paired with the Principia Hopped Apple Cider. Head to Flyway Brewing this week for a multitude of events. On Wednesday from 6 – 9 p.m. catch the Alzheimer’s Sit and Sip with $1 off Flyway’s year-round top 5 brews. You won’t want to miss it, as co-owner Jess McMullen says, “This is a fantastic event that we are passionate about.” Also, in honor of the bridge construction, the brewery is hosting a “Broadway Bridge Celebration” all day Friday. Look for pint and pretzel specials from Noon to 10 p.m. as well as the resurfacing of a popular weekend food special – Buffalo Chicken Sliders. Rebel Kettle will be releasing a Farmhouse-style Saison this Thursday at 4:30. The “Farm to Club” brew, as it’s called, is from Central Arkansas Fermenters Pro-Am winner Kent Thompson. This brew comes in at 6.7% and has a delicate, yet complex malt profile that pairs nicely with a fruity/spicy yeast character and is balanced by assertive hops. Do you have some beer news you would like to share with us? 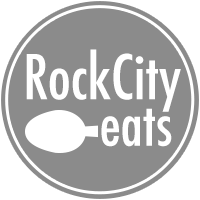 Email Steve at steve@rockcityeats.com.